BrokerDealer.com blog update courtesy of prior reporting here and extract from Dec 1 WSJ story by Justin Baer. An instant-messaging software company that has drawn investments from Goldman Sachs Group Inc. and other big banks signed a deal to buy a chat business from a potential rival. Symphony Communication Services LLC acquired an arm of Markit Ltd., a financial-data firm that went public earlier this year, the companies said. The purchase, Symphony’s first since a group of 14 banks and money managers helped start it in October, underlines how Wall Street has quickly coalesced around the Silicon Valley startup as a solution to one of the industry’s most pressing technology challenges: finding a way for employees to communicate with one another, instantly and securely. It also represents an exit for Markit, which a year ago had launched its own messaging initiative for bankers and traders. The sale isn’t expected to have a material effect on Markit’s results. Fewer than 20 Markit employees are relocating to Symphony as part of the sale of the unit, known as Collaboration Services, a person familiar with the deal said. Terms aren’t expected to be disclosed when the deal is formally announced Tuesday. David Gurle, Symphony’s chief executive, said in an interview that the company had considered building its own directory before reaching out to Markit in recent weeks to discuss a potential deal. In buying Markit’s business, Mr. Gurle said Symphony probably saved 18 months of development time. “They had a capability we would have ordinarily had to build ourselves,” Mr. Gurle said. The transaction includes the software that powers Markit’s directory service, which functions as a centralized “phone book” for financial firms that can be customized to meet compliance rules. 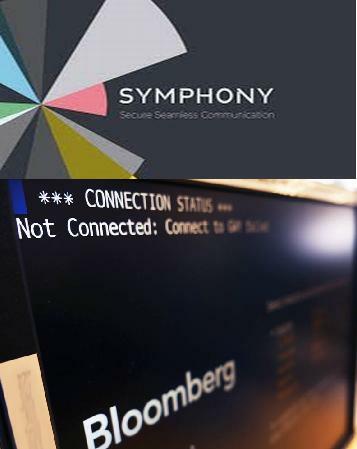 Symphony’s emergence may help loosen Bloomberg LP’s grip on the securities industry. The financial-data company’s chat services remain ubiquitous on trading floors. But the price of a Bloomberg terminal, about $20,000 a year, has grated on some finance executives. If Symphony’s platform spreads quickly through Wall Street, bank executives have said, it could pressure Bloomberg to relent. A Bloomberg spokesman didn’t immediately respond to a request for comment. Bloomberg’s news service competes with Dow Jones & Co., publisher of The Wall Street Journal. On Monday, Mr. Gurle said the messaging platform is still on track to launch in July. 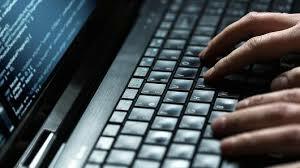 Led by Goldman, a group of financial firms invested $66 million in Symphony. The group, in turn, acquired Perzo Inc., a Palo Alto, Calif., company founded in 2012 by Mr. Gurle. Goldman, which led the investment among the financial firms, contributed its own internal messaging developments to the venture. Founded more than a decade ago, Markit had drawn investments from financial firms such as J.P. Morgan Chase & Co., Bank of America Corp. , Deutsche Bank AG and Goldman. All four of those banks were among the firms that have backed Symphony. Markit sought to allow financial firms’ in-house messaging platforms to communicate with one another, he said. Symphony and its backers are betting that financial-services firms need a better system than they could develop on their own. To read the complete coverage, please visit the WSJ via this link.